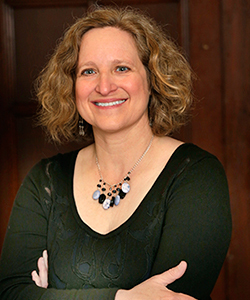 Publication Day: If you’re just reading my newsletter for the first time, Faith Ed publishes on August 18, and my first reading will be on the same day – Aug. 18 at 7 p.m. at Porter Square Books in Cambridge. Stephen Prothero, an author of several books about religion, and Charles C. Haynes, a First Amendment scholar who heads the Religious Freedom Education Project at the Newseum, recently gave a talk promoting religious literacy. They spoke at the 2015 convention of the Religion Communicators Council, and attendees tweeted out what they said. 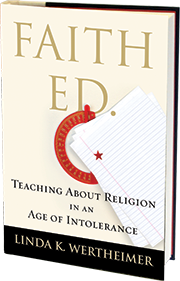 Less than five months to go until publication day for Faith Ed (August 18), and I figured it was time to tell you a little bit about where I got the idea for this book. Two events – one in my own childhood and one in more recent history – sent me off on this journey to look at public schools’ efforts to teach about the world’s religions. Thought you’d enjoy my latest piece of writing – a post for The Huffington Post in response to a school district that advertised for a superintendent with Christian values. Yes, some school systems have not yet realized that it’s unconstitutional to promote one religion. You can find that article at this link.